This might be the toughest question to answer. 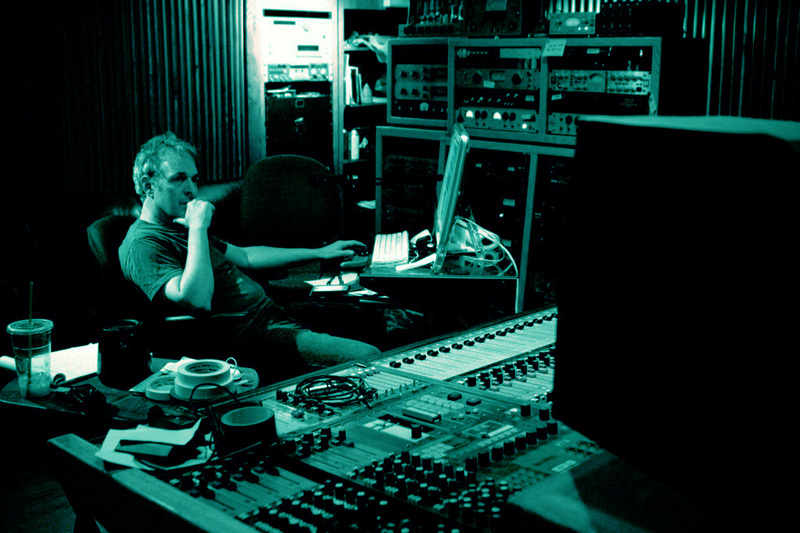 The title “Producer” describes a wide range of functions in the recording process. Really, on one end of the spectrum, the producer may simply be the person who writes a check to pay for the recording. On the other end of the spectrum is the producer who auditions and assembles a band, writes the songs, oversees the recording process, and owns essentially everything. The artists are simply hired help. My personal definition lies somewhere in the middle. Brilliant artists have a vision. They know what they want to say, and they know how they want to say it. But, artists are obsessive, and it is obsession that drives the artistic process. It is obsession that keeps you up all night practicing guitar and it’s obsession that pushes you to write and rewrite a powerful song. It’s also obsession that nags you to answer a text in the midst of a session, and obsession that fuels the popularity of countless episodes of vapid reality TV. In the process of creating your masterpiece, obsession can be both your best friend and your most evil enemy. It will push you to manifest brilliance out of thin air, and then whisper in your ear that your beautiful creation is garbage that must be discarded. This is where a good producer comes in. Her job is simple: take you, your craft, your music, and make it more you. The way I see it is that the job is first all about getting to know what your vision is, second, it’s making sure that this vision is manifested. We’re all capable of shooting ourselves in the foot, and it’s the producer’s job to lock the gun away before you can get reckless. Absolutely, and probably not. The tools are definitely available and absurdly cheap compared to what they once cost. You can probably learn to do a pretty good recording job, if you choose to put the time in. Ultimately it comes down to want you’re trying to accomplish, and there are some very cool records that have been recorded in a bedroom in Silverlake, or Cambridge. Ultimately, you still need a second set of ears that you trust, though. If you have no budget, find a friend whose musical sensibility you have faith in. Give it a go, and be ready to start over with plan B if it doesn’t work. Mixing is the one part of the recording process that you should seriously consider farming out. A good mixer can save a not so good recording, and a funky mix can ruin an amazing recording. This is where you’d be well advised to beg, borrow, and borrow some more to make sure it’s done right. There really is more to it than you think. Analog vs. Digital pt. 1 :: Should I record to tape? What are your favorite records? Tape does sound different, and drums and bass tracked to tape has a particular thing. It might be your thing, and it might not. If you’re looking for that warmth, tracking at least bass and drums to analog tape is a great idea. That is if it fits into your budget. Personally, I never will say that one size fits all, because it doesn’t. There are some great records being released that revel in the sonic reality that they are really not analog recordings. I’m good with that, too. Analog vs. Digital pt. 2 :: What about using virtual instruments and sounds? I’ll tell you a little story. I bought a new guitar amp/effect plugin. I installed it and plugged a very old Strat directly into an API Mic Pre. In other words: no amplifier, direct into the box. My first impression when I tried a straight ahead emulation (software Tube Screamer into a software Vox AC-30): this sounds like crap. Then I started checking out some more, shall we say, esoteric sounds. There was some really cool stuff there, and more important, there were sounds that we’re all hearing on current records. Does it sound like real analog gear? Nope, but it does sound like a record, and the bottom line is that it’s just another palette to draw from. The options have never been so diverse. It’s a great time to explore and record, because nothing is off the table. Producer Peter Malick describes his concept of what a music producer is, and the process of record making from concept to master.